It’s been just over 13 years since the The Incredibles film hit cinemas and we’re finally getting a sequel. We’ve been treated to little titbits from the teams at Disney and Pixar but this is our first indication of what the actual plot will be. The animation studios used the Winter Olympics to unveil the newest footage – prior to this, a couple of teasers and posters had been shown over the last few weeks. Disney first got fans excited about the prospect of an Incredibles sequel back in May 2014, but up until about six months ago, we had absolutely no idea where the project was at. Back in July 2017, director Brad Bird confirmed – at Disney’s D23 – the upcoming instalment of the fan-favourite franchise would be focused on Elastigirl, rather than Mr Incredible. The sequel will pick up right where the first film ended, but Bird said there’ll be a noticeable difference in the appearance of the film because of advanced technologies. 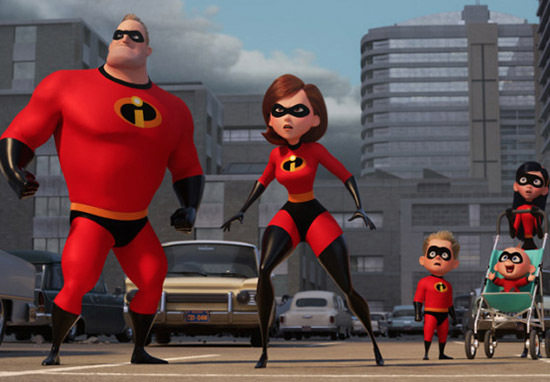 The first look we got of the family was the incredible (sorry) teaser featuring Jack-Jack going to town with his powers. Pretty much everyone is set to reprise their roles for the upcoming film, so there won’t be any omissions in terms of casting. In the film we’ll see Helen called on to lead a campaign to bring Supers back, which puts Bob firmly in the day-to-day heroics of ‘normal’ life at home with kids Violet, Dash and baby Jack-Jack – who we know is going to be a bit of a handful. However, their mission is derailed when a new villain emerges who has a plot which will change everything. The family will work together, alongside their pals (including Frozone and yes, Edna Mode). The Incredibles 2 arrives on June 15, 2018.